The Hudson County housing market surged again in the second quarter, with low levels of inventory stifling sales activity but driving a spike in pricing. 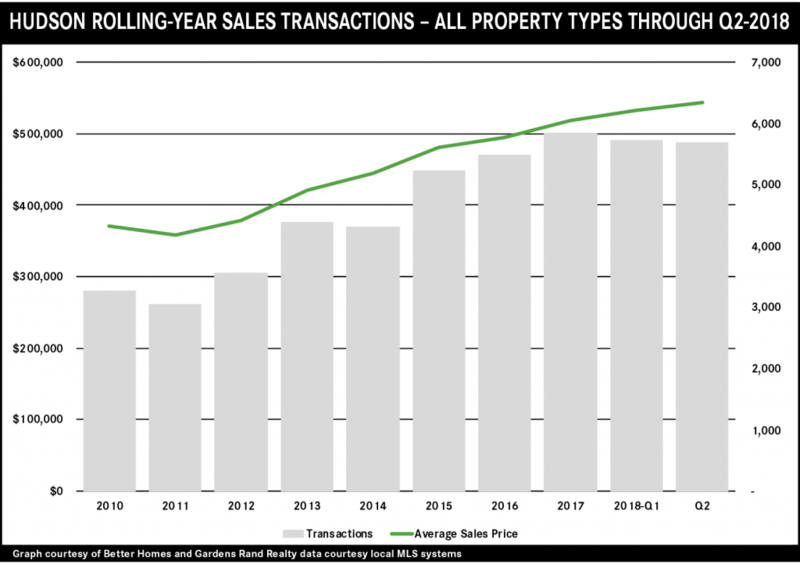 Overall sales for the county were down about 3%, with both multi-family and condo sales falling sharply due to the lack of inventory available on the market. But that lack of supply, coupled with high levels of demand, is having a dramatic impact on pricing. Average prices were up almost 8% for all property types, rising over 17% for single-family homes, 18% for multi-family, and almost 3% for condos. Going forward, we expect this to continue through a robust summer and fall market, as demand for housing in Hudson remains strong.